An exhibition of 13 photographs by the photographer. 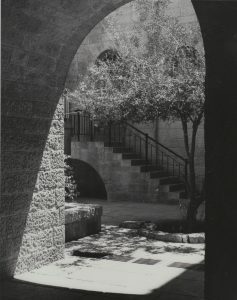 This exhibition featured 20 of the photographer’s previously unexhibited black and white gelatin-silver prints of photographs taken in Israel. 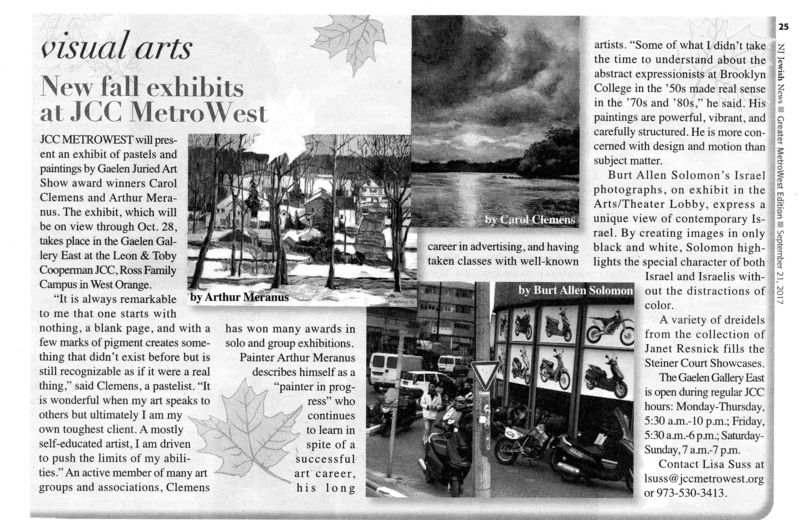 Read the JCC MetroWest press release in the NJ Jewish News here. 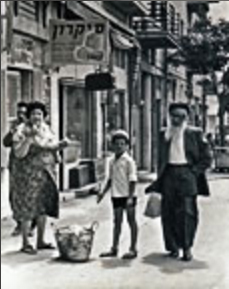 This ongoing revolving exhibition features photographs taken during the photographer’s many trips to Israel, from 1968 to 2009. The photographer was invited to exhibit his photographs at the organization’s corporate offices. 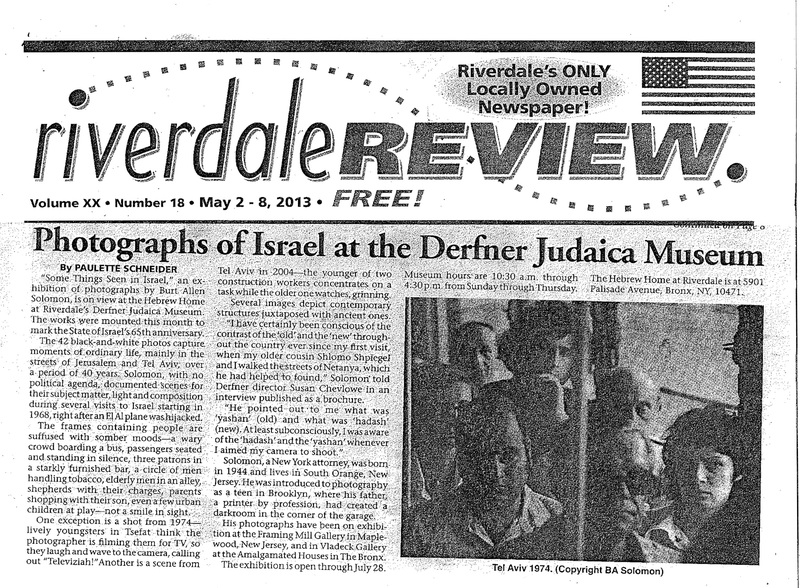 Read the review from the New Jersey Jewish News here. 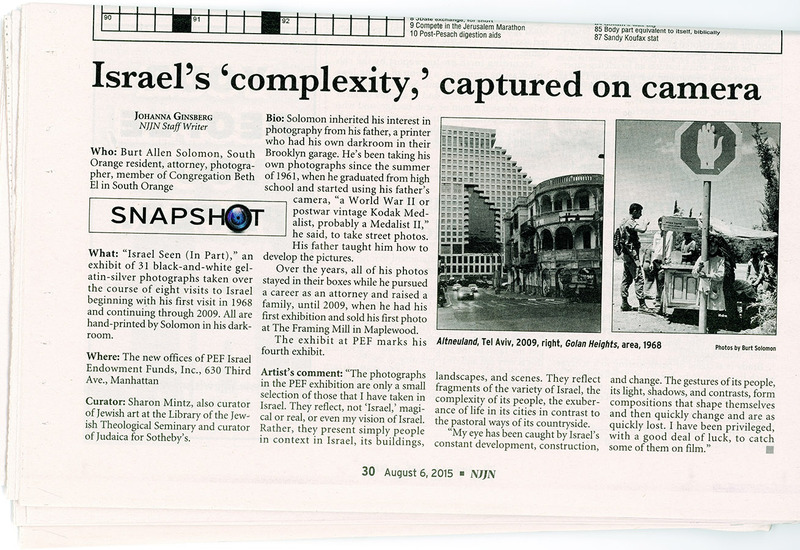 This exhibition featured photographs taken during the photographer’s many trips to Israel, starting in the late ’60’s to 2009. They were publicly exhibited for the 1st time to commemorate Israel’s 65th Independence Day. Read reviews of the exhibition here and here. 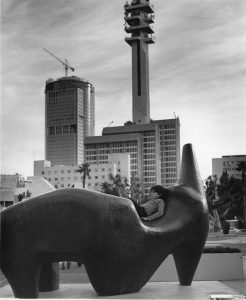 The photographer’s second show; a selection of black and white gelatin silver photos, centered on cities (“Urban”), and outdoor country-scapes (“Un-Urban”). More recent work was interspersed with photos from the 1970’s. 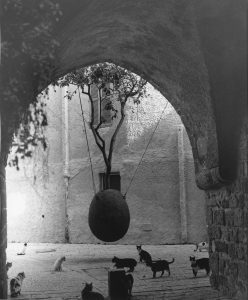 Burt Solomon’s first public exhibit after nearly a half century taking pictures, this debut also functioned as a retrospective. The 42 photographs presented a cross-section of compositions and themes common to the photographer’s body of work.